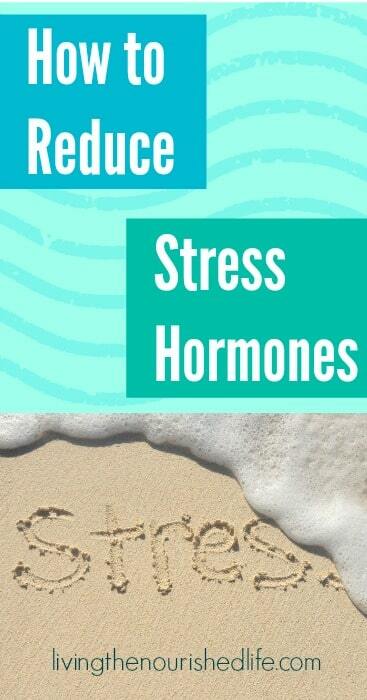 Want to learn how to reduce stress hormones? You’re in the right place. 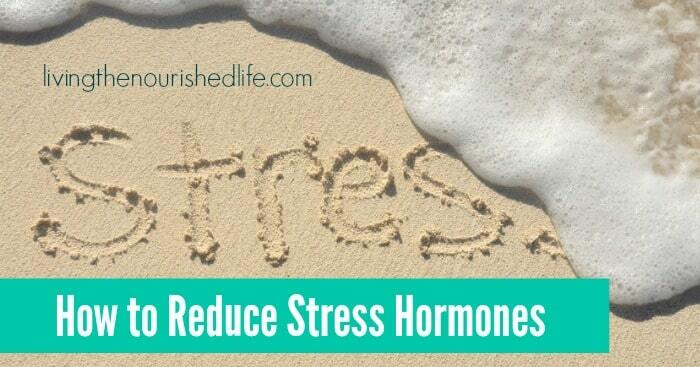 Reducing chronically high stress hormones is sort of my life’s mission. But you don’t want to get caught up in that vicious cycle. Trust me. Stress reduction shouldn’t be stressful! Let’s talk about stress, what it is, and how to reduce stress hormones so we can enjoy more vibrant health. Because once you understand what stress really is, it’s much easier to see exactly what you need to do to reduce it. Stress is ANYTHING that raises your stress hormones (like cortisol and adrenaline). This could be what we’d typically think of as stress–like rush-hour traffic–or something more subtle, like lack of sunlight. Nutrient deficiencies, emotional stress, under-eating, pain or injury–all of these things can raise our stress hormones. What’s wrong with high stress hormones? So what if your cortisol and adrenaline levels are high? Actually, it’s a pretty big deal. If your stress hormones are too high, reducing them to normal levels is really just a matter of lifestyle factors. No, you don’t have to go live in a monastery to be stress-free. Instead, find which areas may be giving you the most trouble and see if you can address those. And if you have an area that’s stressing you out and there’s not much you can do about it (like maybe a difficult job you can’t leave yet, or an illness in the family), then it’s good to work on other areas you can control to make sure they aren’t adding to the problem. 1. Are you getting enough sunlight? Being out in natural sunlight is something our bodies were born to do, but in today’s society we all end up indoors a lot more than nature intended. All of these things add up to a healthier body and less stress. 2. Are you eating a balanced diet? The body tends to be the least stressed on a balanced diet that provides your body with the energy and nutrients it needs to thrive. In most cases, this means a balance of protein, fat and carbohydrates (this balance will vary somewhat from person to person, but I recommend avoiding extreme diets that shun any of those three macronutrients). Keep your diet as “real” as you reasonably can so that you’re getting plenty of vitamins, minerals and other nutrients from your diet. You also need to eat enough! An energy-deprived body is a stressed body. Read more about this in my post about health and diet myths that are stressing your metabolism HERE. Poor sleep habits are guaranteed to make your stress hormones go berserk. Just a couple nights of poor sleep can raise your cortisol levels (source), so imagine what you’re doing to your body when you’re constantly going to bed too late and denying your body time to rest! Make sure you give yourself 7-9 hours of time to sleep every night (and if you have trouble sleeping, the other tips in this post can help with that, too–especially eating a balanced snack before bed). 4. Are you moving your body? Just like we’re meant to spend some time outdoors, our bodies are also born to move. A healthy level of exercise can help normalize stress hormones like cortisol (source). But since a lot of us are sitting, sitting, sitting (in the car, in front of the TV, at the work desk), it can take a little effort to include a little more movement in our lives. Sometimes it’s just a matter of tweaking our lifestyle to naturally include more activity (read more in my post about painless ways to be more active HERE). Exercise of any type can be great (strength-training and yoga are among my favorite choices), but don’t get caught up on the more-is-better bandwagon. Exercise should make you feel fit and invigorated–not defeated and exhausted. Find the balance that works for you. 5. Are you laughing enough? So spend some time with people who make you laugh, watch your favorite old sitcom, or read a book that tickles your funny bone. It’s a great way to cope with stress and improve your overall health. Read more about the benefits of laughter HERE. 6. Are you exposed to too many toxins? I’m a little shocked at how toxic chemicals have become such a huge part of modern life. And these toxins give your body a stressful load to deal with. It’s true that we simply can’t avoid them all, but we can make small changes that add up. Use less plastic, filter your water, and choose natural soaps and beauty products (or make your own). These little steps can make a difference! 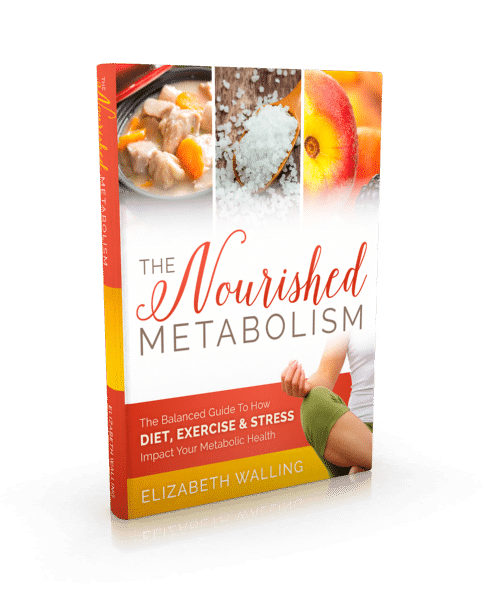 If you want to learn more about how to reduce stress hormones and nourish your metabolic health, check out my book The Nourished Metabolism: A Balanced Guide to How Diet, Exercise and Stress Impact Your Metabolic Health. I talk about the basics of avoiding stress, listening to your body, and living a balanced life that nourishes you from the inside out. See testimonials from readers here. 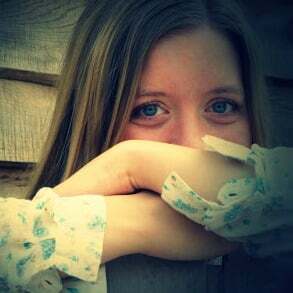 I REALLY ENJOYED READING ABOUT LAUGHTER BEING AN ANTIDOTE FOR STRESS. thankfully I do most of these..
we laugh a lot in our house.. so that is good.. Prayer to the one & Only Lord God , Jesus Christ always improves my mood. how can you stand still singing ? Congratulations on writing one of the more accurate articles on what stress truly is. I see countless blogs (including those written by MDs) that fail to explain the relationship between biological stress (what is happening inside our bodies and therefore what is truly having an impact on our health) and what people commonly refer to as stress (what is happening outside our bodies). The one thing I would point out is that not all exercise is good for processing the stress hormones out of the body. Intense exercise causes the release of stress hormones. Running, for example, causes biological stress even though people may say it makes them feel less “stressed.” Yoga can be great but some yoga could be too intense. As you point out, understanding the difference between biological stress and what most people call stress helps us manage our lifestyles to reduce the secretion of stress hormones. Is there a supplement you can take for high cortisol levels? Thanks! There’s no one natural supplement that lowers cortisol. The best we can do is put together a lifestyle plan that helps the body regular cortisol naturally – including some vitamins and herbal supplements. I highly recommend reading The Cortisol Connection, since the author lays out very detailed information about supplements as well as lifestyle habits that help. If I had to pick a couple things to look into, magnesium and B vitamins are very important for helping you cope with stress.